Our article below outlines the best of the best Prepaid plans, Postpaid plans, with Entertainment included, Family plans and more. What are the 2019 WhatPhone Awards? We track the market for phone plans and SIMs so you don’t have to. In 2017, Whatphone (this website) ran our first awards scheme as a way of highlighting best in class for different types of phone plans. Now in it’s 3rd year, the Whatphone awards have become a key navigation aid to the people who visit this site. If you’re in a hurry and you want a quick answer on how you can short list the phone plans and SIMs most likely to be useful to you, consider the providers on this page? How do you select the winners of the Whatphone awards 2019? The criteria we use to compare phone plans are based on the primary research we have done in to the market for phone plans and SIMs this year. We consider the factors you told us were important to you. Our primary criteria are the quality of the network, the price of the plan and how fairly the phone company treats the data they give you. This year, we awarded Prepaid Plans, Postpaid Plans, Big Mobile Broadband bundles, the fairst phone company for data and 2 new areas which are of growing importance to people – Entertainment in phone plans and Family plans. What is a ‘Family Plan’? The research suggests that Australian children are being given a phone at an earlier and earlier age. Not only does that raise a totally new type of cost for the family, which needs to be managed (the cost of the phone and the SIM plan in it) but, managed poorly, it can expose youngsters to content on the internet, provided to their phone by the mobile data network, that you wouldn’t want them to see. A number of phone companies have spotted this trend in usage and are targeting specific phone plans at people facing the conundrum – which phone plan is best for my kids. Most family plans are prepaid – which helps with the management of the cost of that connection. Some even include clever software which mum and dad can install on the kid’s phones. This software can then help the parents in some practical ways, deal with the natural ramifications of providing children phones. They can set ‘whitelists’ (websites the children can see) and ‘blacklists’ (sites they can’t) and enforce features like shutting the phones off every night at 9PM, an hour before the children are supposed to go to sleep. What if I try one of these award winners and I don’t like them? Our advice is generally to avoid contracts. There are a lot of sensible reasons for this and one of those is that the alterntaive – to contracts – month to month plans do not tie you in to one provider. Customer satisfaction tends to be higher at smaller phone companies than the big ones. Less seems to go wrong. However, if a move doesn’t work for you, signing up to a new plan will take you all of 10 minutes and you can try a different phone company or go back to the one you came from. What is ‘Entertainment in a phone plan’? Big phone companies worry that Australians don’t think there are any differences between them. They want to build a brand you like so you choose them without thinking about it, whatever the cost. To help persuade you, they have started including ‘free extras’ in their phone plans like video or music content. Optus and Telstra each have their own entertainment packages. Our own research suggests that content in phone plans is important to young men. Last year wa a huge year in the market for SIM Only and Prepaid Plans in Australia. We have reached ‘Peak SmartPhone’ – the point at which everyone who wants a smartphone has one. People are also holding on to their phone for longer much to the chagrin of manufacturers like Apple who much prefer selling you an expensive, new, device every couple of years. We’ve also seen an increasing number of phone companies making their phone plans fairer. Telstra, Optus and Vodafone now all offer both plans with a lot of mobile data. On top of core inclusions, many now offer streaming video and streamed music entertainment services as a ‘free’ part of their plans – something that young men, in particular, seem to value. Often, this high value content is provided ‘data free’ from the user’s point of view. Mobile Broadband connections continue to rise in importance and volume, becoming in 2019, a viable alternative for individuals, businesses, students and renters, to expensive and inflexible fixed (NBN) connections. Finally, 2018 saw the release of the first phone in the world with an eSIM, the iPhone XS. The eSIM is likely to find it’s way in to phones from other manufacturers like Samsung, Google, LG and so on in the course of the 12 months ahead and will likely revolutionize the market in time. Australia has nearly 50 phone companies which sell SIM Plans to users like you. Figuring out the best plan can take time. The 2019 WhatPhone Awards are designed to help you navigate the breadth of plans which are available – quickly. Among Australian prepaid plan providers, Boost Mobile stand out for a number of reasons. Price wise, Boost is great value – comparable to any other smaller phone company (MVNO) especially when their promotions are running (often offering extra mobile data to entice new users in). Boost also offer free music streaming, as part of their plans, which can save people (up to 3 GB of mobile data per month) and International Calls on their larger plans. Finally, as if that wasn’t enough, Boost are the only phone company other than Telstra themselves who use the entire Telstra Network. Telstra cover around twice the landmass of their second best alternative, Optus. That’s approximately 2.4m square Kilometers of the Lucky Country. If you live in the bush and you want an alternative to Telstra’s sometimes expensive rates, Boost is the answer. Boost is also regularly one of the top prepaid partners on WhatPhone – and has been a partner for a long time. If you’re looking for a prepaid plan, make sure they are, at the very least, on your shortlist. OVO seems to cut the cost of the data in their mobile broadband plans once every 6 months or so. Last year was the first time we gave an award for Large Mobile Data Bundles because it was the first year we saw demand appear for this new type of plan. Our own primary analysis tells us that people value the flexibility, portability and fairness associated with Mobile Broadband Plans. With NBN installation problems an unfortunately typical problem for many Australians, and the ability to quickly, reliably connect to a mobile network which offers speeds often in excess of what they’ll get on an NBN plan, we’re seeing more and more people move full mobile with their internet connection as, a decade ago, we saw with the move from landlines to mobile phones. OVO is one of Australia’s most innovative companies. They have an app which has attracted international attention, all of their plans include access to a variety of data free sports – such as Australian Drag Racing and Chinese Super League. However, where they’re really driving change is in the Mobile Broadband arena. It seems like every 6 months, they halve the cost of the mobile data in their plans and pass that on to their users. If you’re about to sign up for the NBN, consider a Mobile Broadband connection first, and start by looking at OVO’s plans. Belong Mobile’s ‘Data Bank’ feature is the reason I have a Belong Mobile phone plan in my phone! At WhatPhone, we regularly survey Australian Phone Users, to find out what’s important to them in a phone plan, so we can help them find it. In both 2017 and 2018, once people were offered a reasonable price and a reliable connection, the thing they wanted most from their phone company, was the be treated fairly. This finding (that fairness was important to them) has been underlined as a key issue by recent work done by KPMG, in Australia – their Customer Experience Excellent Report which again, highlights the importance of a brand’s Integrity to Australians who value a ‘fair go’. Belong Mobile are a smaller phone company which offer a Data Bank in their plans. Simply put whatever data you’re given, is yours until you leave the company. We think this is the fairest possible treatment of how to administer a Mobile Data allowance. Belong’s Self Service app is fantastic and simple to use. It lets you move up and down plans each month without a call to their call center. So if you end up with a huge balance of data in your account, you can either ‘gift it’ to a friend or lower your monthly spend while you use up the data you have. If all of that isn’t enough for you, perhaps you’ll consider this. I work for a phone comparison website – and my phone plan is a Belong plan! Belong sell access to the Telstra Mobile Network. They have a simple to understand plan structure with options on data, national ($5 extra) and international calls ($5 extra.) Belong also offer the fairest treatment of data that any phone company in Australia have. a ‘data vault’ feature. Whatever data you buy, is yours, forever. It just keeps rolling over until you use it or leave them. All Belong’s Mobile plans come with ‘data vault’. When you buy your data, it just keeps rolling over until you decide to use it or leave them! And if you want to make Unlimited International Calls (to 10 selected destinations – or to 33 selected countries’ landlines) just add $5. Belong Mobile $10 = Unlimited international calls to 33 countries for $5 per month + 1GB of data. Belong Mobile $15 = Unlimited calls and SMS in Oz with unlimited international calls & text to 33 selected countries + 1GB of data. Belong Mobile $25 = Unlimited international calls to 33 countries for $5 per month + 5GB of data. Belong Mobile $30 = Unlimited calls and SMS in Oz with unlimited international calls & text to 33 selected countries + 5GB of data. Belong Mobile $40 = Unlimited calls and SMS in Oz with unlimited international calls & text to 33 selected countries + 15GB of data. All talk time and SMS for use in Australia to Australian numbers. All data is for use in Australia. You can learn more about this company in our Belong Mobile review. Moose Mobile are a relatively new phone company which are clearly doing the right things for their customers. The company has some of the most impressive reviews out of any Australian telco we’ve seen. Moose keep it simple, reselling access to the Optus Mobile Network with highly competitive data bundles and regular introductory promotions. Moose offer 12 month and month to month postpaid and International Calls on their 12 month plans. Moose are regularly among our best performing monthly sellers because they provide everything you need in a postpaid SIM Only plan and nothing you don’t. Moose are a new Australian phone company which stormed on to the market in early 2017. They offer a fantastic range of plans, with huge data allowances which exceed those available from competitors. Customer feedback has been so good about the company, we had to award them the Best Overall award as part of our 2019 review. Starting at less than $10 per month, Moose offer consistently strong pricing, especially on their 4G data inclusions. Moose stand out from the pack on customer service with phenomenal online reviews. No included streamed audio or video, these are phone plans with nothing you don’t need. Moose $8.80 SIM Only = 200 minutes of calls to landlines and mobiles in Oz. Unlimited SMS/MMS in Oz + 1GB. Moose $14 Sim Only = Unlimited calls and SMS/MMS in Oz + 2GB. Moose $19 Sim Only = Unlimited calls and SMS/MMS in Oz + 4GB. Moose $24.80 Sim Only = Unlimited calls and SMS/MMS in Oz + 10GB. Moose $29 Sim Only = Unlimited calls and SMS/MMS in Oz + $300 International Credit +15GB. Moose $39 Sim Only = Unlimited†calls and SMS/MMS in Oz + 25GB. Moose $49 Sim Only = Unlimited†calls and SMS/MMS in Oz + 40GB. 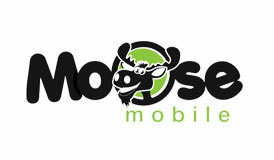 You can read more about this company in our Moose Mobile Review. Between Optus and Telstra (Vodafone have been suspiciously quiet about it), there is intensifying rivalry around the area of content in a phone plan. Content can take the form of video (sports, films, TV shows, Netflix etc.) or streamed audio from services like Spotify. Telstra’s content has always been strong. As a company, they have the resources they need to buy big ‘properties’ in the entertainment industry like access to the AFL and NRL. In late 2017, Telstra added something more likely to appeal to young women – gymnastics. In late 2018, they announced their partnership with. Telstra are unrivalled in Australia for coverage, with a 3G signal that covers roughly twice the landmass of any other phone company except Boost Mobile. Access to 2.5m square Km of the Australian landmass. Only Telstra provides data free streaming of the AFL, NRL and Australian Gymnastics in their plans. Telstra now offer ‘Data Banking’ on some of their plans and provide Unlimited data options. Telstra Pre-Paid Max $10.00 = Unlimited calls and SMS in Oz + 2GB! Telstra Pre-Paid Max $30.00 = Unlimited calls and SMS in Oz + 27GB (10GB+17GB bonus on first 5 recharges)! Telstra Pre-Paid Max $40.00 = Unlimited calls and SMS in Oz + 35GB (20GB+15GB bonus on first 5 recharges)! Telstra Pre-Paid Max $50.00 = Unlimited calls and SMS in Oz + 45GB (28GB+17GB bonus on first 5 recharges)! Telstra Pre-Paid Max $150.00 = Unlimited calls and SMS in Oz + 60GB! Telstra Pre-Paid Max $300.00 = Unlimited calls and SMS in Oz + 150GB! Telstra BYO Plan $49.00 = Unlimited calls and SMS in Oz + 30GB! Telstra BYO Plan $69.00 = Unlimited calls and SMS in Oz + 60GB! 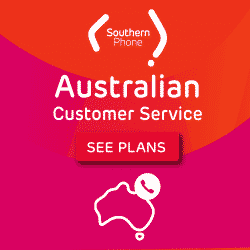 Telstra BYO Plan $89.00 = Unlimited calls and SMS in Oz + 90GB! All talk time and SMS for use in Australia to Australian numbers. All data is for use in Australia. You can learn more about this company in our Telstra Mobile review. Yomojo have been around for a long time, in a variety of forms. They’ve recently re-invented themselves and targeted a genuine group of users that, until this point, had been largely ignored by the phone companies – Families. 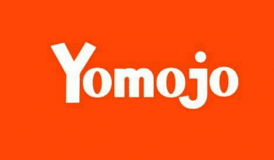 Additionally, however, Yomojo provide the opportunity for their customers to make their children a good deal safer when they’re interacting with the mobile internet. The company provides software called FamilyEye which lets you remotely manage your child’s phone. Parents can have the phones ‘shut off’ at a particular time every night – typically a trigger point for arguments in modern homes. When kids are on their phones, concerned adults can also establish a ‘black list’ of sites those phones cannot reach, to save young eyes from some of the more challenging aspects of the mobile web and also track live location. If you have a family and you’re looking to give your child a phone plan, we recommend you consider Yomojo and their plans.